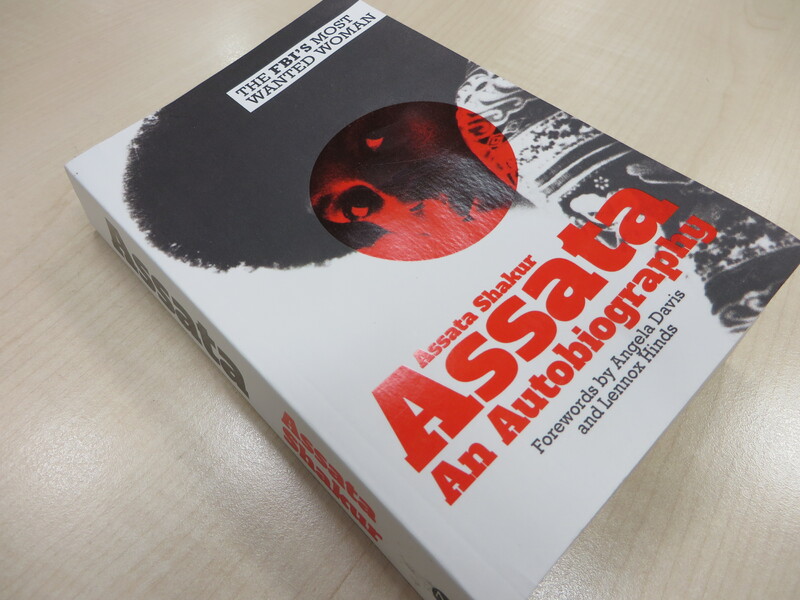 Have you caught the dramatisation of Assata Shakur’s autobiography on Radio 4 this week? In a coincidence of timing the book has also made it to the top of Jo Manby’s review pile! Assata Shakur is the FBI’s most wanted woman. Since 1979 has lived in Cuba as a fugitive after being granted asylum there following her escape from prison. She is also a founding member of the Black Liberation Army and godmother of Tupac Shakur. This autobiography tells the story of the circumstances that brought her to her present day situation. 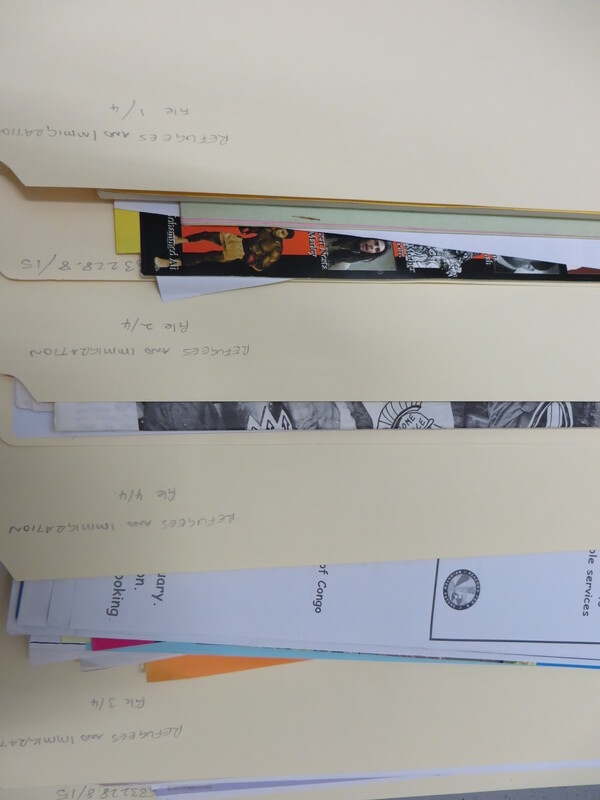 Arranging the Manchester BME Communities collection was an interesting adventure in flexing the rules. As well as deciding what to keep and what not to keep, organising the remaining material was a bit tricky. Currently on display in our ground floor Spotlight Gallery is a small exhibition of traditional Bangladeshi embroidery. It was produced last year by a group of ten women who participated in the project Kotha & Kantha: Bangladeshi Women’s Memoir held at Manchester Central Library and run by the Ahmed Iqbal Ullah Race Relations Education Trust and Centre (AIUC). Project Administrator Jo Manby explains more about the project and what it set out to achieve. A very thoughtful/thought-provoking piece on theracetoread blog, following a visit to the Resource Centre and Central Library last week from a group of summer school students studying ‘Race, Literature and the Archive’. Makes a lovely connection between our children’s book projects and our wider role as part of the Archives+ partnership. Last week I took my MA students to Manchester. Officially, they are on a course I designed called Race, Literature and the Archive—but students don’t come on Summer Abroad Courses just for extra library time (shock horror). Many of them were particularly interested in Manchester because of the recent terrorist attack on the Manchester Arena during the Ariana Grande concert in which 22 (mostly young) people were killed. We had discussed the diversity in Manchester prior to coming to England, and they wanted to know how the city was handling the attack. I have, of course, been to Manchester several times, and knew exactly how Manchester would be handling it—but I was pleased to see signs all over the city advertising the Manchester International Festival (currently in progress). They said, simply, What is the City but the People?